From parks and golf courses to steams and train stations. Here’s where to catch ’em all. The ultimate goal of any Pokémon game is always to catch ’em all as the anime’s catchy theme song so gleefully would declare. In Pokemon Go that challenge is upped a little from the Game Boy and Nintendo DS versions of the game. That’s mainly because you have to move around in the real world to catch the creatures, and they appear in different areas of the world. You’re going to have to lace up your kicks and get out there to catch your Pokemon. But where can you find various types of Pokemon? We’ve done some research and we have you covered. First, it’s worth making sure you’re up to speed on Pokemon Go. We’ve got a post covering everything you need to know about the game as well as a comprehensive guide that has detail on how to handle things like which Pokemon Trainer Team to join, how to attack and defend gyms, how to hatch eggs how to level up and more. So check that out first if you haven’t already. Pokemon Go: What are Pokemon Types for? 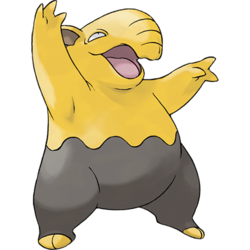 Pokemon in Pokemon Go all fall into one of a few categories – ‘types’. A Pokemon can have one or two types, and types determine a number of things about that Pokemon. For one it determines where the Pokemon likes to live (more on that under the next heading), but it also determines battle strengths and weaknesses. There’s 18 different types, and each type is either strong, weak or neutral to other types. At the most basic level with the starter Pokemon this breaks down to Rock, Paper, Scissors – Charmander (Fire) beats Bulbasaur (Grass) who beats Squirtle (Water) who in turn beats Charmander, for example. It’s all pretty straight forward. The way Types and Battles in general work in Pokemon Go is marginally different to the major Pokemon games, but the same core concepts apply. If you want to learn about what types to use in battle against an opponent or what types to avoid in a particular battle to dodge defeat, look no further than our Pokemon Type Strengths and Weaknesses guide. 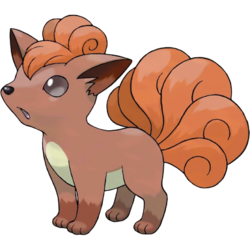 If you want to know where to find a Pokemon of a particular type, this page has you covered. A Pokemon’s types determine not only its move set, but its natural habitat. Its habitat will in turn determine where in the world this Pokemon lives – and thus where you can catch it. Behind-the-scenes, Pokemon Go is splitting the map of the real world into ‘Biomes’. A biome tells the game what’s in a particular area. Examples of Biomes behind-the-scenes are Building, Place of Interest, Roads, Park and so on. From this, we can determine what Pokemon will appear wher. So if you’re looking for a particular Pokemon just look for its type or name on this page and read our advice. Either scroll on down, or click the type you’re after below to be zipped right there. Normal Pokemon are your run-of-the-mill beasts, and as such they tend to appear more or less everywhere. This is the easiest type to write about – no matter where you are, Ratattas and the like will always be fairly commonly and freely available to you. Even in your house, Normal-type Pokemon should be fairly freely available. There’s 22 normal-type Pokemon in the original 151 Pokemon that feature in Pokemon Go. That includes: Pidgey, Pidgeotto, Pidgeot, Rattata, Raticate, Spearow, Fearow, Jigglypuff, Wigglytuff, Meowth, Persian, Farfetch’d, Doduo, Dodrio, Lickitung, Chansey, Kangaskhan, Tauros, Ditto, Eevee, Porygon and Snorlax. Remember that some Pokemon are only available via evolution. 15 normal-type Pokemon were added in the Pokemon Go Gen 2 update. That includes: Sentret, Furret, Hoothoot, Noctowl, Igglybuff, Aipom, Girafarig, Dunsparce, Teddiursa, Ursaring, Porygon2, Stantler, Smeargle, Miltank, Blissey. Given that it probably wouldn’t be very wise to go climbing into a volcano in search of Pokemon, matching the original games in terms of Fire-type Pokemon’s habitat is difficult. Instead in Pokemon Go you’ll find fire-type Pokemon in residential areas and neighbourhoods, and they’ll be more common in warmer places – be that places that have a naturally more dry climate or on the sand at the beach. There’s 12 fire-type Pokemon in the original 151 Pokemon that feature in Pokemon Go. That’s: Charmander, Charmeleon, Charizard, Vulpix, Ninetales, Growlithe, Arcanine, Ponyta, Rapidash, Magmar, Flareon and Moltres. Some of these will only be available via evolution, and as a legendary how to obtain Moltres remains a mystery. 10 fire-type Pokemon were added in the Pokemon Go Gen 2 update. That includes: Cyndaquil, Quilava, Typhlosion, Slugma, Magcargo, Houndour, Houndoom, Magby, Entei, Ho-Oh. 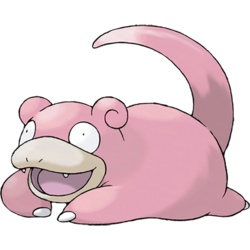 Water Pokemon such as the amazing Slowpoke can predictably be found in places where you’ll also find water. If you live near a river, stream, lake or the like, you’ll find lots of them there. Likewise for other water-heavy areas such as harbours or the beach. There’s 32 water-type Pokemon in the original 151 Pokemon that feature in Pokemon Go. That includes: Squirtle, Wartortle, Blastoise, Psyduck, Golduck, Poliwag, Poliwhirl, Poliwrath, Tentacool, Tentacruel, Slowpoke, Slowbro, Seel, Dewgong, Shellder, Cloyster, Krabby, Kingler, Horsea, Seadra, Omanyte, Omastar, Kabuto, Kabutops, Goldeen, Seaking, Staryu, Starmie, Magikarp, Gyarados, Lapras and Vaporeon – though some of these will only be available via evolution. 18 water-type Pokemon were added in the Pokemon Go Gen 2 update. That includes: Totodile, Croconaw, Feraligatr, Chinchou, Lanturn, Marill, Azumarill, Politoed, Wooper, Quagsire, Slowking, Qwilfish, Corsola, Remoraid, Octillery, Mantine, Kingdra, Suicune. 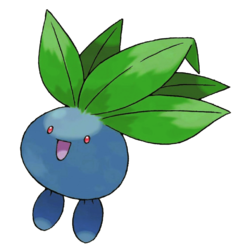 Grass-type Pokemon like Oddish and its evolutions are just as predictable as their water counterparts, and can primarily be found in grassy areas. That includes the obvious like farms and forests, but if you’re in a more residential or built-up area don’t forget the smaller and less-obvious options – parks are a good option, as are gardens, golf courses and so on. There’s 14 grass-type Pokemon in the original 151 Pokemon that feature in Pokemon Go. These are Bulbasaur, Ivysaur, Venusaur, Oddish, Gloom, Vileplume, Bellsprout, Weepinbell, Victreebell, Exeggcute, Exeggutor, Tangela, Paras and Parasect. Some can only be obtained via evolving. 10 grass-type Pokemon were added in the Pokemon Go Gen 2 update. That includes: Chikorita, Bayleef, Meganium, Bellossom, Hoppip, Skiploom, Jumpluff, Sunkern, Sunflora, Celebi. Bug-type Pokemon like Weedle and Caterpie, which have decent later evolutionary stages, can be found hiding out in similar places to Grass Pokemon. Farmland, woods and forests are the obvious place, but they can also be found in gardens and generally grassy areas like parks, nature reserves, smaller pathways, gold courses and playgrounds. There’s 12 bug-type Pokemon in the original 151 Pokemon that feature in Pokemon Go: Caterpie, Metapod, Butterfree, Weedle, Kakuna, Beedrill, Paras, Parasect, Venonat, Venomoth, Scyther and Pinsir, but don’t forget some can be easiest obtained via evolution. 10 bug-type Pokemon were added in the Pokemon Go Gen 2 update. That includes: Ledyba, Ledian, Spinarak, Ariados, Yanma, Pineco, Forretress, Scizor, Shuckle, Heracross. 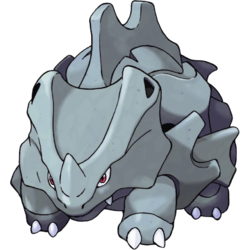 Rock-type Pokemon such as Geodude and the like can be found in places where the app figures stone is likely a regular feature. That includes the likes of quarries, towns, parking buildings, train stations, highways, or large buildings such as shopping malls . There’s 11 rock-type Pokemon in the original 151 Pokemon that feature in Pokemon Go, including Geodude, Graveler, Golem, Onix, Rhyhorn, Rhydon, Omanyte, Omastar, Kabuto, Kabutops and Aerodactyl. As ever, some are only available via evolution. 7 rock-type Pokemon were added in the Pokemon Go Gen 2 update. That includes: Sudowoodo, Shuckle, Magcargo, Corsola, Larvitar, Pupitar, Tyranitar. 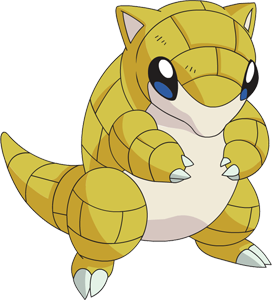 Ground-type Pokemon like Sandshrew and Diglett can be found anywhere that fits their type – muddy locations like ditches and streams, parking garages, playgrounds, railway stations, roads and generally urban areas. There’s 14 ground-type Pokemon in the original 151 Pokemon that feature in Pokemon Go. These include Sandshrew, Sandslash, Diglett, Dugtrio, Geodude, Graveler, Golem, Onyx, Cubone, Marowak, Rhyhorn, Rhydon, Nidoqueen and Nidoking. Remember that some of these are obtained via evolution and may not be found in the wild! 10 ground-type Pokemon were added in the Pokemon Go Gen 2 update. That includes: Wooper, Quagsire, Gligar, Steelix, Swinub, Piloswine, Phanpy, Donphan, Larvitar, Pupitar. 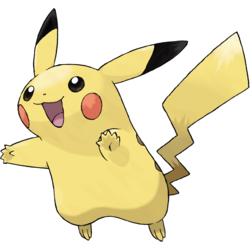 Electric-type Pokemon like Pikachu can be found in only one particular type of area in Pokemon Go: areas the game regards as ‘industrial’. The best place to search for these, then, are industrial parks, schools and college campuses, and other dry places that are largely concreted over. There’s 9 electric-type Pokemon in the original 151 Pokemon that feature in Pokemon Go, including: Pikachu, Raichu, Magnemite, Magneton, Voltorb, Electrode, Electabuzz, Jolteon and Legendary Zapdos. Remember that some of these are evolution forms, how to obtain Zapdos as a legendary is another question entirely. 8 electric-type Pokemon were added in the Pokemon Go Gen 2 update. That includes: Chinchou, Lanturn, Pichu, Mareep, Flaaffy, Ampharos, Elekid, Raikou. 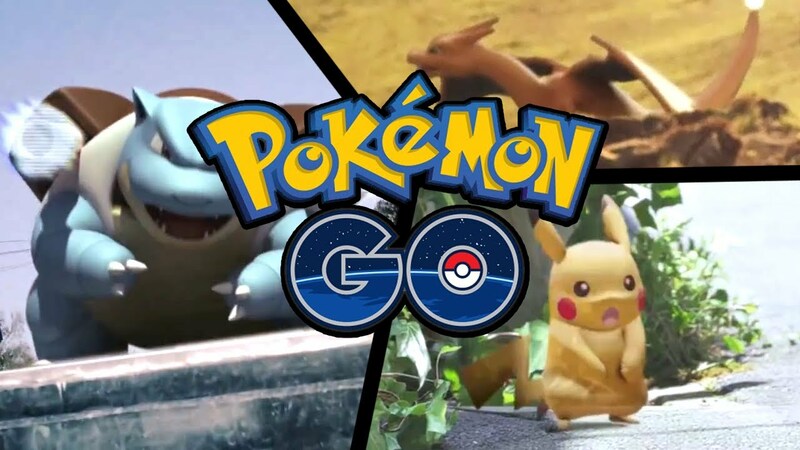 Fighting-type Pokemon like Machop and Mankey tend to absolutely love competition, so where they’re found in Pokemon Go should come as no surprise. You’ll find fighting-types lurking around sports centers and stadiums, and they’ll also congregate around larger gyms. 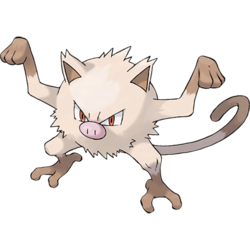 There’s 8 fighting-type Pokemon in the original 151 that are in Pokemon Go: Mankey, Primeape, Machop, Machoke, Machamp, Hitmonlee, Hitmonchan and Poliwrath, who is also a water-type. Don’t forget a few of these can be obtained via evolution. 3 fighting-type Pokemon were added in the Pokemon Go Gen 2 update. That includes: Heracross, Tyrogue, Hitmontop. Thankfully Pokemon Go doesn’t require you to actually venture anywhere poisonous to find Poison-type Pokemon, but you might have to get a little wet: they appear in areas the game defines as ‘wetland’, which includes ponds, marches, lakes and so on. For some reason they may also occasionally pop up in more industrial areas of cities and in large buildings, though this seems less common. There’s a whopping 33 poison-type Pokemon in Pokemon Go’s 151 creatures, though there is lots of overlap with other types: Bulbasaur, Ivysaur, Venusaur, Oddish, Gloom, Vileplume, Weedle, Kakuna, Beedrill, Venonat, Venomoth, Bellsprout, Weepinbel, Victreebel, Ekans, Arbok, Nidoran (Female), Nidoran (Male), Nidorina, Nidoqueen, Nidorino, Nidoking, Zubat, Golbat, Grimer, Muk, Koffing, Weezing, Tentacool, Tentacruel, Gastly, Haunter and Gengar. 4 poison-type Pokemon were added in the Pokemon Go Gen 2 update. That includes: Spinarak, Ariados, Crobat, Qwilfish. 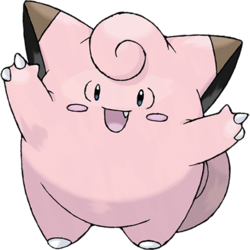 Fairy-type Pokemon such as Clefairy are curious creatures, and can also be found at Places of Interest like Dragon-type Pokemon, so check your local landmarks. They can also be found in numbers at churches or the cemetery. There’s just 5 fairy-type Pokemon in the original 151 Pokemon that feature in Pokemon Go. They’re Clefairy, Clefable, Jigglypuff, Wigglytuff and the ever-off-putting Mr. Mime. Don’t forget that Clefable and Wigglytuff can be obtained via evolution. 8 fairy-type Pokemon were added in the Pokemon Go Gen 2 update. That includes: Cleffa, Igglybuff, Togepi, Togetic, Marill, Azumarill, Snubbull, Granbull. 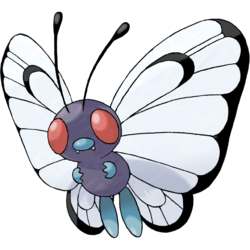 Flying-type Pokemon are typically a sub-type and have another type attached to them first (which you’ll find above), but their flying attribute still impacts where in the wild they’re found. Flying types are quite common, and can be found on farmland, forests, woods and grassy areas such as nature reserves, playgrounds, parks and gardens. 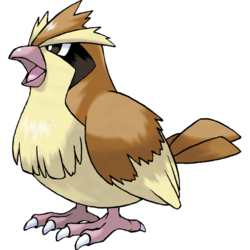 There’s 19 flying-type Pokemon in the 151 that are in Pokemon Go: Charizard, Pidgey, Pidgeotto, Pidgeot, Spearow, Fearow, Farfetch’d, Doduo, Dodrio, Butterfree, Zubat, Golbat, Scyther, Aerodactyl, Gyarados, Dragonite and the three legendary birds Articuno, Zapdos and Moltres. How the legendary birds are caught is unclear, and some of these can be caught via evolution. 19 flying-type Pokemon were added in the Pokemon Go Gen 2 update. That includes: Hoothoot, Noctowl, Ledyba, Ledian, Crobat, Togetic, Natu, Xatu, Hoppip, Skiploom, Jumpluff, Yanma, Murkrow, Gligar, Delibird, Mantine, Skarmory, Lugia, Ho-Oh. 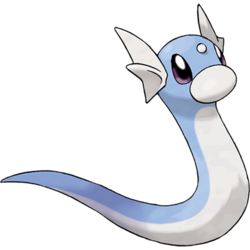 Dragon-type Pokemon such as Dratini are rare beasts, but they’re not impossible to find! Dragon-type Pokemon are only found at what Pokemon Go defines as ‘places of interest’ – famous places or landmarks anywhere. If a landmark or old place is significant enough to be marked specifically on a map, it’s probably a good spot to hunt for dragons. There’s only 3 dragon-type Pokemon in the original 151 Pokemon that feature in Pokemon Go: Dratini, Dragonair and Dragonite. It’s unclear if the latter two can be found in the wild, but they can definitely be evolved from Dratini who has been found in a variety of places. Only 1 dragon-type Pokemon was added in the Pokemon Go Gen 2 update: Kingdra. There aren’t many Ghost type Pokemon in Pokemon Go, but those there are like Ghastly are damn cool. Ghost-types seem to show up occasionally around churches, but they’ve also been reported to show up in built-up residential areas such as parking lots at night. 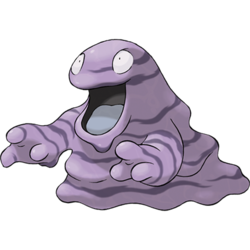 There’s only 3 ghost types in Pokemon Go’s 151 initial Pokemon, and they’re all in the same evolutionary line: Gastly, Haunter and Gengar. 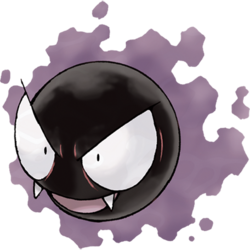 If you manage to catch a Gastly, it’ll be possible to get all three Ghost-type Pokemon simply through evolution – though more are likely to come soon. Only 1 ghost-type Pokemon was added in the Pokemon Go Gen 2 update: Misdreavus. Much as with Fire Pokemon, the need to actually go somwehere icy to catch Ice-type Pokemon has thankfully been left out of Pokemon Go. Instead you’ll find ice-types in grassy areas occasionally and near bodies of water more often than that. You’ll of course also find them anywhere there’s actual snow and ice if you happen to live close to anywhere that fits the bill. There’s 5 ice-type Pokemon in the original 151 that are in Pokemon Go: Jynx, Dewgong, Cloyster, Lapras and Articuno. Legendary Articuno is unlikely to be found out in the wild. 5 ice-type Pokemon were added in the Pokemon Go Gen 2 update. That includes: Sneasel, Swinub, Piloswine, Delibird, Smoochum. 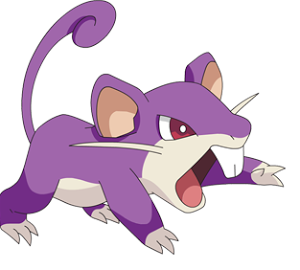 Psychic-type Pokemon such as Abra can sometimes be found in grassy areas, but that’s pretty uncommon in general. Some also show up in residential areas but seemingly only at night. A better place to more reliably find them is in and around hospitals – the equipment there seems to attract them or something. 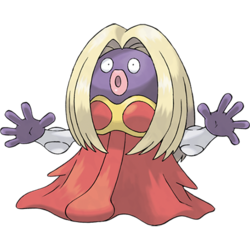 There’s 14 psychic-type Pokemon in the original 151 Pokemon that feature in Pokemon Go, including Abra, Kadabra, Alakazam, Drowzee, Hypno, Exeggcute, Exeggutor, Slowpoke, Slowbrow Jynx, Mr. Mime, Mewtwo and Mew. Some of these can be obtained by evolution, and it’s unlikely Mewtwo or Mew will ever simply be found out in the wild, since they’re Legendary Pokemon. 10 psychic-type Pokemon were added in the Pokemon Go Gen 2 update. That includes: Natu, Xatu, Espeon, Slowking, Unown, Wobbuffet, Girafarig, Smoochum, Lugia, Celebi. Need more Pokemon Go help? Pokémon Go starter guide: how to earn XP, level up, join gym teams and more. Check out these cool Pokemon Go accessories from our friends at Jelly Deals. Steel is a Pokemon sub-type that makes certain Pokemon of other types a little easier to catch. Steel-type Pokemon can be found where steel is most common: inside or around larger building structures. They can also be found near railway stations and tracks, but be careful if hunting there. 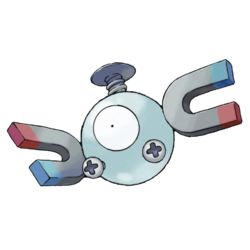 There’s only 2 steel-type Pokemon in Pokemon Go’s original 151: Magnemite and Magneton. 4 steel-type Pokemon were added in the Pokemon Go Gen 2 update. That includes: Forretress, Steelix, Scizor, Skarmory. Dark Pokemon can be found in ‘dark’ places, like cemeteries, landmarks, and cinemas. 6 dark-type Pokemon were added in the Pokemon Go Gen 2 update. That includes: Umbreon, Murkrow, Sneasel, Houndour, Houndoom, Tyranitar.